Illustrated breed standards begin with drafts. Preview progress from first draft to completed drawing in capturing the standard of the breed. The work on any illustrated standard project commences with the committee gathering important information which will guide the artist in assembling drawings for what is correct to illustrate the breed. 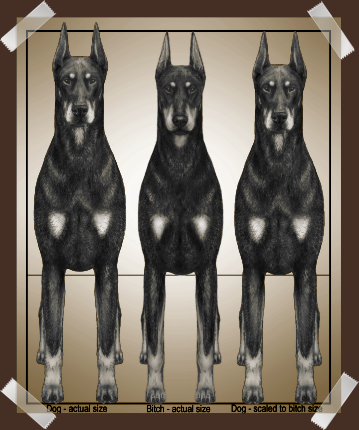 The illustrated standard committee is generally composed of a group of experts with an extensive background within the breed. There is a learning curve involved as the artist studies the text of the breed standard and any approved photos or articles provided by the illustrated standard committee. The first step active step in the process involves the submission of initial foundation drafts by the artist. These draft-stage breed illustrations are initiated by using measurements and angles, as stated in the breed standard, so that the proportion and relationship is more easily viewed. Drawings to the right and left represent the initial breed standard draft as compared to the final drawing. Through changes and modifications as directed by the illustrated standard committee, the look can become decidedly different as elements of coat and detail are added to the drawing. As this visualization evolves, what is perceived by the eye may differ from the initial impression. These resultant changes appear as each drawing progresses toward the finished version of what we are attempting to illustrate for the particular dog breed standard. Illustrated standard drafts can demonstrate size comparisons as well as the beginning and end points as a drawing progresses. There can be several steps from breed standard draft to completed breed standard illustration.